Next up is Rev. Ian Lynch, a United Church of Christ pastor at First Congregational Church in Brimfield, MA. I’ve bumped into Ian at a number of UCC gatherings in Massachusetts over the past few years and thought highly of his humor, joy in pastoring and commitment to the Church. But what really caught my attention was his ministry following the tornadoes in Western Massachusetts. When we started planning the MCC’s annual meeting, a colleague reminded us of that the Church’s divisions in Massachusetts are theological, denominational, political, racial, generational and often geographic. This colleague spoke of the sense that the churches in the eastern part of the Commonwealth didn’t know how the churches in the central and western part of the state were still struggling with high unemployment and the destruction from the storms. We knew we wanted to try and bridge that geographic divide. Ian’s digital ministry fits in perfectly. Following the tornadoes, he used social media to connect with his congregants and the wider community. A new kind of pastoral care is possible with social media. Ian and the First Congregational Church of Brimfield give us an example of how to show God’s love in the midst of enormous chaos and pain. 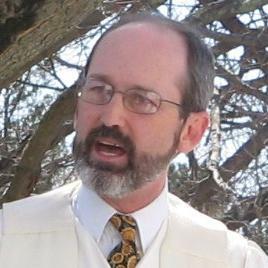 Twitter: @CultureDoveShort bio: Ian has been pastor at First Congregational Church, UCC, Brimfield since 2002. Prior to that he ministered for nearly 15 years among homeless individuals at the Salem Mission, a ministry of Crombie Street United Church of Christ, Salem, MA. He also worked briefly for the Mass. Conference UCC and the Mass. Council of Churches. He has long been enamored of technology. Aside from learning BASIC in Junior High School and a single programming course in college, he is self-taught. An early adopter of social media, he has an active virtual life in addition to physical life filled with family, birdwatching and rock climbing. When the tornadoes of June 1, 2011 struck, they left not only a shambles of physical wreckage but also communities shut off from the world as well as themselves. Grassroots organizing in the community was needed to start meeting the needs of victims. Reliable information became critical. Social media became one important way to organize and to tell the story. Pictures and personal stories put a face on the devastation, aiding in motivating volunteers. Facebook groups were used to put out requests for material and web pages sprung up overnight. This workshop will explore ways that community is assisted, shaped and supported through social media technologies. We will consider the advantage of instant mass communication during a disaster as well as the management problems that presents. We will also speculate about how the church might respond to and be shaped by the age of social media.